Browse our selection of clearance items for great savings. 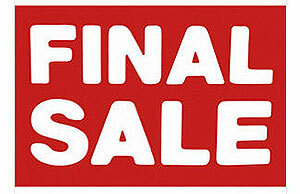 Clearance items are overstocked, end of season clearance items, open box, new left over/old stock or repacked items. All items are new and may have manufactures warranties, check item listing for full details. Clearance item quantities are limited.